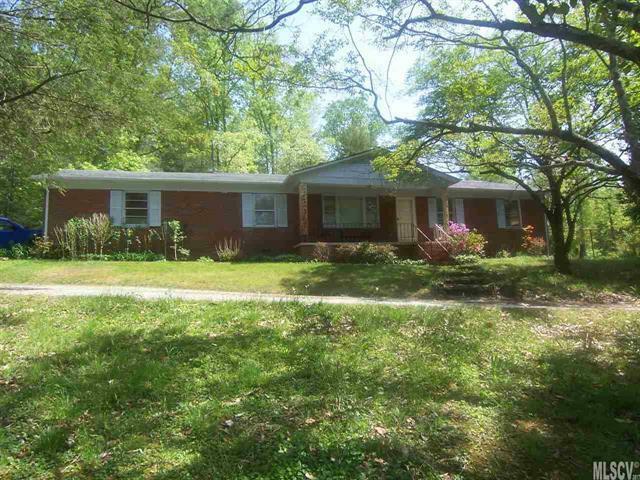 Brick one story ranch with over 6 partially wooded acres. Kitchen area has breakfast nook, pantry and laundry room. Dining room adjoins the kitchen area. Living room. Large den with fireplace. Master bedroom with full bath. Two bedrooms share a bath. Large yard with plenty of room for a garden. 24 x 24 metal utility building with roll up door and concrete floor. Two car attached carport. Also included is a single wide mobile home.